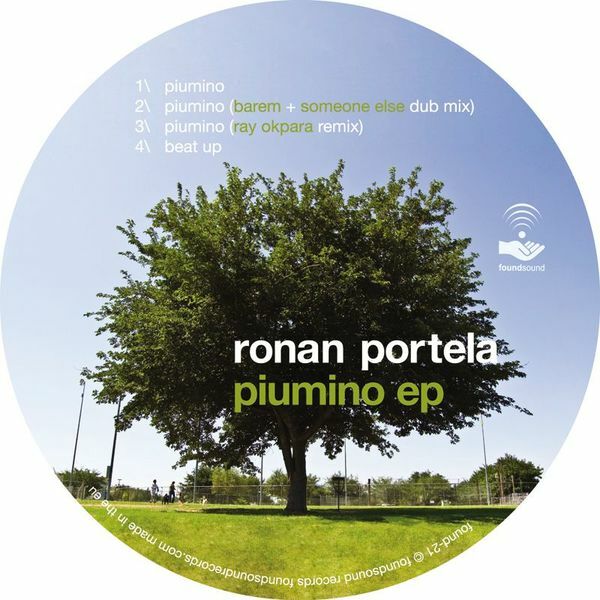 Party Tech-house rollers from Argentinian Ronan Portela for the Foundsound imprint, backed with remixes from m_nus bloke Barem with Someone Else and Ray Okpara. Portela's original is bitten with a summery percussive vibe, meaning nuff bongos/congas and airy chords with a slight latin flavour. Barem + Someone Else do their miniaml thing and concentrate those flavours with a technical flourish resulting in a heavy dipped bassline and dynamic FX processing, while Ray Okpara focusses on the wiggly aspect with a dryly monotone groover.